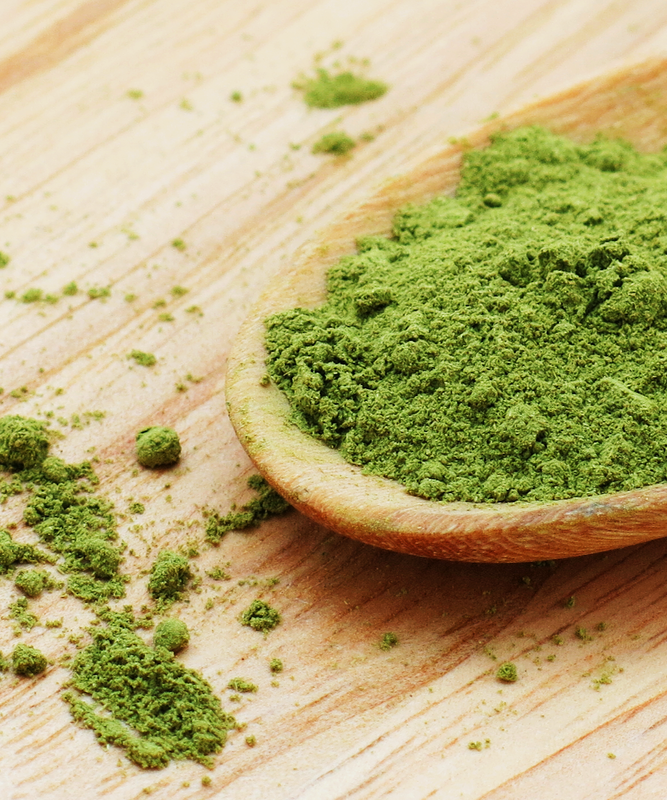 If you’re nearing your threshold for matcha drinks and foods, it’s time to meet its green powdered cousin: moringa tea. It’s not actually new (of course, neither was matcha), and it has been used in Asia and Africa as a medicinal herb for years. Moringa might look just like matcha and have a similar name, but it has completely different health claims and tastes way different — though the hype is just as real. So what is moringa tea? It’s a powered tea made out of dried moringa tree leaves. Nutritionally speaking, the tea is chock full of vitamins and minerals, says Vanessa Rissetto, MS, RD. “It’s high in fiber, contains all nine essential amino acids, and is loaded with protein” as well as vitamins A, C, and E, she says. Sadly, unlike matcha, moringa doesn’t really taste great, and people compare it to asparagus and horseradish, so there’s a good chance you will not see it in desserts. Rissetto says you should try one teaspoon per day of the dried stuff as a tea to see if you like it, though moringa does also come in pill form, which some people prefer. Also, moringa doesn’t have caffeine like matcha, but it does have other benefits, like anti-inflammatory and antioxidant properties that may help with tissue protection and support brain health, she says. And according to Rissetto, moringa can even be applied to the skin as an astringent for cuts and scrapes, which is pretty cray (but a 2016 study suggests this could work). Possibly even wilder, a 2015 study found that the leaf and bark extracts of moringa could stop the growth of certain cancer cells, so there’s a possibility it will be used in cancer drugs. Of course, that was early research not performed on humans, so there’s still some work to be done to prove that this would work in real life. With all these varying (and exciting!) claims, you have to ask, particularly if you’re a nursing mother: Is moringa safe? There are parts of the tree, like the roots and extracts, that contain a toxic substance that could cause paralysis and diarrhea, says Rissetto. “Luckily, those parts of the tree aren’t sold to us, so you don’t have to worry about it.” If you buy the powdered tea, it’s usually dried and crushed leaves, so you should be safe. With any supplement, you should definitely ask your doctor before you take them, because they are not regulated by the FDA, and there could be very real side effects that you may not have considered. Given everything we know about moringa and its potential benefits, Rissetto doesn’t think it’ll catch on quite like matcha has. “I think the flavor will really get people,” she says, though she thinks it has more of a chance of catching on in the breast-feeding community, if anything. Bottom line: If you haven’t tried moringa yet, it might not be your cup of tea, and that’s totally okay.